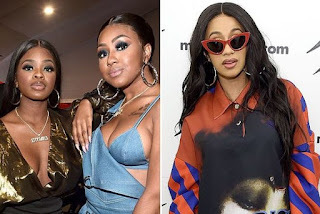 For some few weeks now the original version of the GIRLS ON TWERK has been on trend but here is another jab with a full force linked with Cardi b to render a remix of the song. Is a banging indeed but all we need now is to listen to the second official remix. City girls on has also keep us on anticipating album called Girl Code. The last time we hear about the album was when they leaked the tracklist online but the album has been dropped and also having Cardi b as one of the guest appearance. Listen to TWERK blow are share.